Making music with your computer often involves the use of software synthesizers, which are much easier to control when you have a keyboard-like MIDI controller such as a MicroKorg. While the MicroKorg synthesizer/vocoder is an instrument in its own right, perfectly suitable for recording and live performances, when you use a MIDI cable to connect a MicroKorg to your computer, you have at your fingertips virtually any sound font or synthesizer you want. This kind of technology was designed to be easy for musicians to learn, and getting started simply entails making the correct connections. Turn off your computer and the MicroKorg. Plug one end of the MIDI cable into the “MIDI Out” port on the MicroKorg, and plug the other end into the “MIDI In” port on your computer’s audio interface. Turn on the MicroKorg, then turn on your computer. Turn the “EDIT SELECT” dial on the MicroKorg to “MIDI,” then set the “MIDI CH” dial to the same MIDI channel as a soft synth on your computer. Now you can control that soft synth with your MicroKorg. If you wish to control more than three MIDI devices with your MicroKorg, use a MIDI patchbay. Since 2010 Zach Dexter has been writing professionally on a number of topics for various websites, with emphasis on audio production and computers. He also blogs at Zaccus. 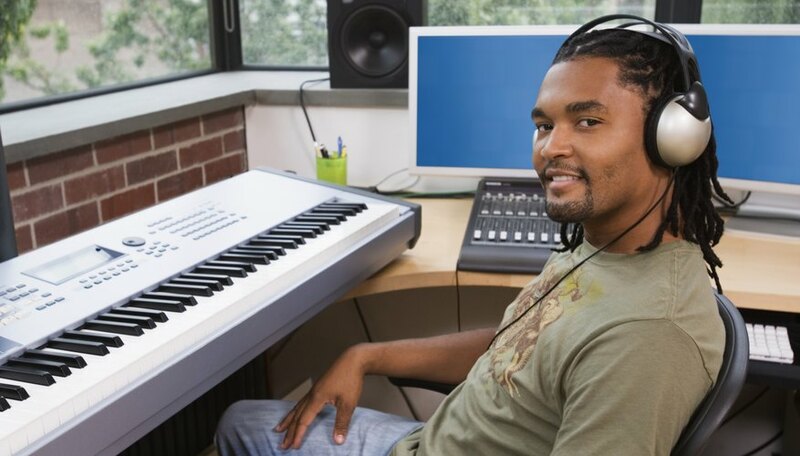 He holds a Bachelor of Arts from Columbia College Chicago, where he studied music and audio production.